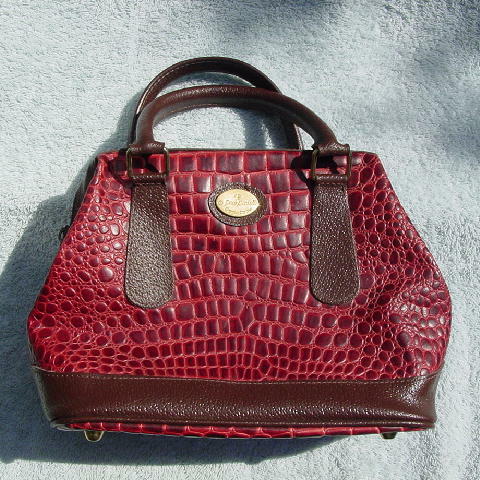 This purse has a strawberry red alligator pattern (front, back, sides, and bottom) with two faux brown leather 11 1/2" long handles and trim. It also has four gold-tone feet at the bottom. 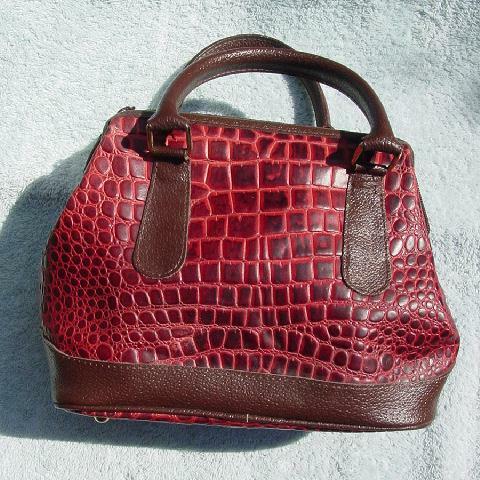 It's in the shape of a mini doctor's bag. The interior is in a dark brown brushed cotton. There are two interior roomy compartments - one open and one with a zipper. It's made of manmade materials.